A quick post for today because I don't feel so good. 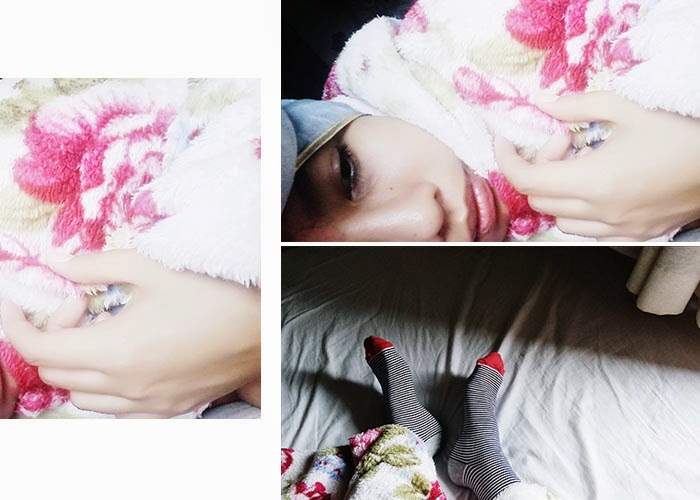 I got fever + flu + sore throat, oh yeeah sneezing all day. I'm just laying on my bed, forced myself to go to the kitchen to make something to eat. I feel so dizzy today, easy for me to order food from any restaurant near to my house but I'm just not in the mood to do that. 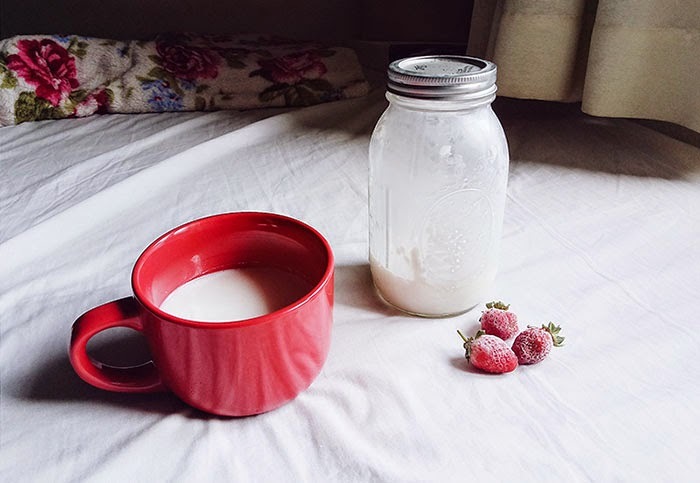 I made strawberry almond milk for breakfast, thank God I already made the raw almond milk two days before, so all I have to do was added some slices of strawberries into the raw almond milk. 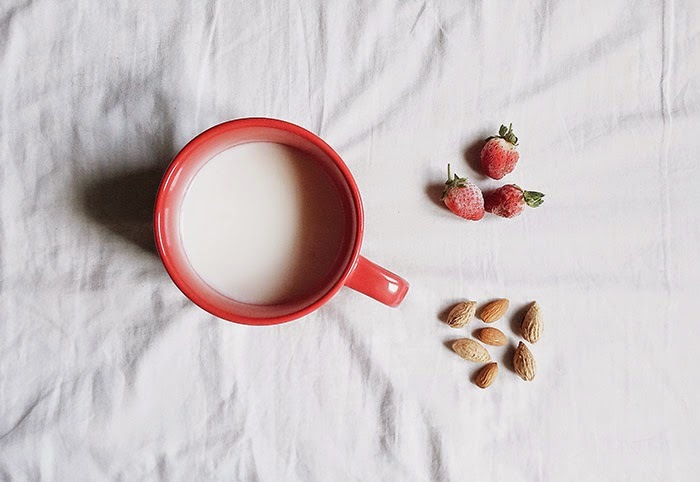 I'll share how to make raw almond milk next time. Stay tuned, Folks. 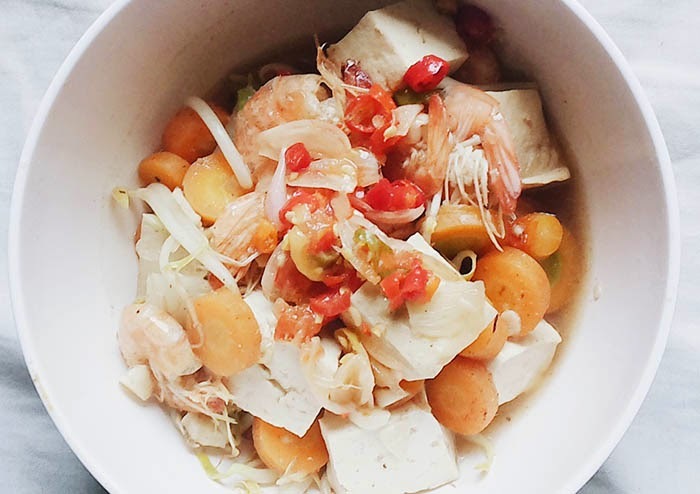 For lunch I forced my self to cook a super simple recipe, I combined shrimp, tofu, carrots, bean sprouts, and Chinese cabbage and ate it while it's hot. I took all the pictures with my cellphone, it is easier to snap some pictures from my phone because I can edit those pictures directly on the phone. 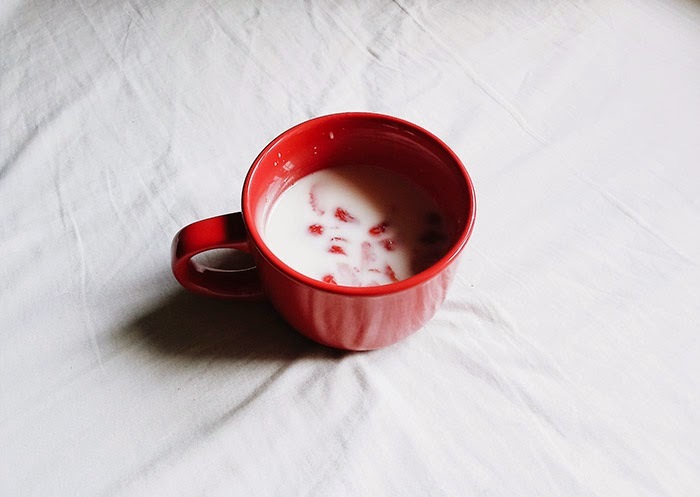 So I still can have some pictures for blog eventhough I'm not fit today. Now I still feel so dizzy but I think it is too early to sleep. I really hope I can get well soon. Amin. Boleh tau biasanya beli almond nya dimana? btw aku juga abis sakit kak, kmren baru banget sembuh tp masih ada batuk2 nya :( kaya nya cuaca jg lagi ngga bagus.. banyak2 minum air putih yaa kak..
cepet sembuh yaa kak yul :) hugss..